Manassas, VA– International television and film star Chuck Norris is scheduled to speak on Thursday, February 26, 2015, at the closing session of the NRB 2015 International Christian Media Convention in Nashville, TN. In addition, Norris will be receiving the NRB Chairman’s Award. “Chuck Norris is a legend in his own time. We are proud to honor him and his legacy at NRB15,” remarked NRB President & CEO Dr. Jerry A. Johnson. Adding to that, NRB Chairman of the Board Bill Blount said, "On behalf of the NRB, it's thrilling to present Chuck Norris with the Chairman's Award. 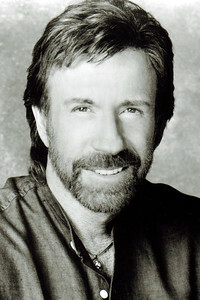 Chuck Norris has had an extraordinary career in martial arts and entertainment. Through all his productions, he's maintained a high level of integrity, ethics, and family-friendly programming. Because of his superior standards, in a world that does not usually reward those ideals, we want to honor and recognize his achievements." Norris has starred in 24 motion pictures. His television series Walker, Texas Ranger ran for 8 1/2 years, and was the most successful Saturday night series on CBS since Gunsmoke. Norris first made his mark as a renowned teacher of martial arts and was a six-time undefeated World Professional Middle Weight Karate Champion. He is the first man from the Western Hemisphere in the more than 4,500-year tradition of Tae Kwon Do to be awarded an eight degree Black Belt Grand Master ranking. Norris is also a New York Times bestselling author of several books and a columnist on the independent news site WorldNetDaily.com, now known primarily as WND.com. A man of deep religious convictions and a giving spirit, Norris will say that his most rewarding accomplishment, next to his family, is the creation of his Kickstart Kids Foundation, which works with more than 8,000 at-risk youth on a daily basis. Since 1992, the program has graduated nearly 80,000 youngsters and aims to expand all over Texas and eventually nationwide.